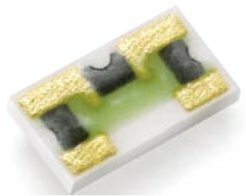 We supply Thin Film and Thick Film resistors and components from Mini-Systems, Inc. (MSI). A world leader in precision thick and thin film chip resistors; along with capacitors, metal/glass sidewall packages, custom thick film hybrid circuits, and multi-chip modules. MSI have been providing high quality parts since 1968. 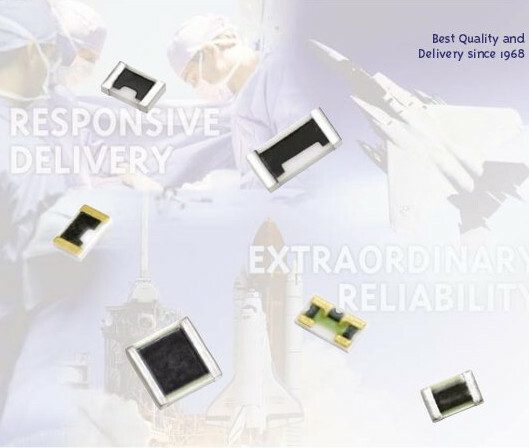 MSI is called upon when high reliability, responsiveness and high performance are required in a broad range of applications including medical, spacecraft and military. A leading ISO 9001 Certified manufacturer of Precision Hi-Reliability Chip Resistors for more than 30 years. Quick response to critical requirements and customer concerns combined with knowledgeable sales and engineering staff are key to providing the service our customers expect. Along with an extensive line of Standard products. The Thin Film Division provides design service for custom resistor arrays, RC Networks, and Custom circuits for high frequency applications. Q.P.L. approved on select MIL-PRF-55342 part styles. "R" Failure Rate Qualified. All Thin Film components are RoHS compliant, unless part contains Solder, in which case, we offer two types of Lead-Free Solder. which describes Mini-Systems' perfected assembly process. Also, in 2006 MSI has AGAIN been awarded the title, "GOLD SUPPLIER" by Northrop Grumman Space Technology Systems for the 3rd year. TRW's choice of MSI was made from among 1185 suppliers.